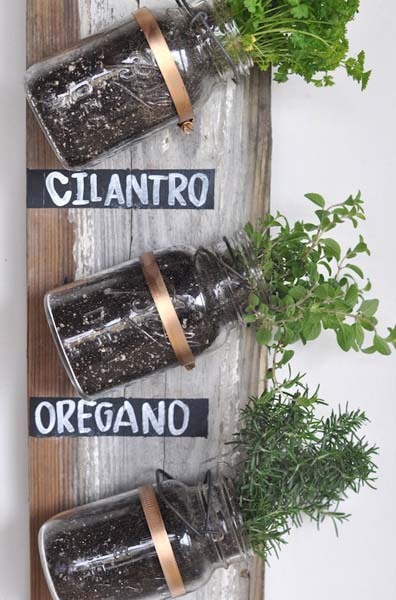 This hanging herb garden design idea offers a fun DIY project that allows to grow edible herbs for cooking and decorate your small spaces with attractive plants, adding pleasant texture and a splash of gorgeous green color to your balcony, porch, deck or kitchen. 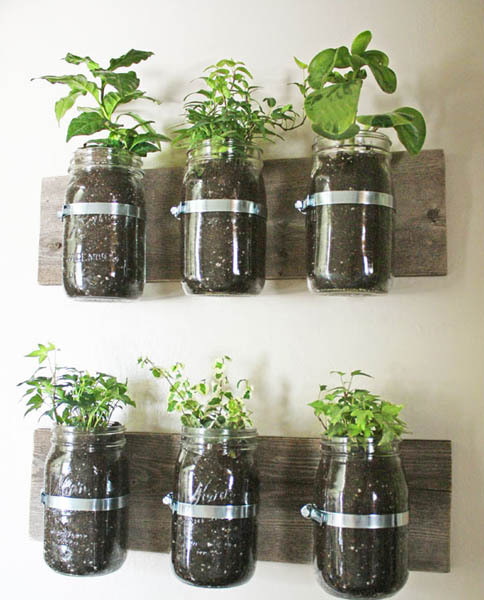 Hanging containers with edible herbs are an inspiring space-saving idea that helps create beautiful wall garden design for growing fresh edible herbs for your meals, while creating pleasant environment and relaxing atmosphere. 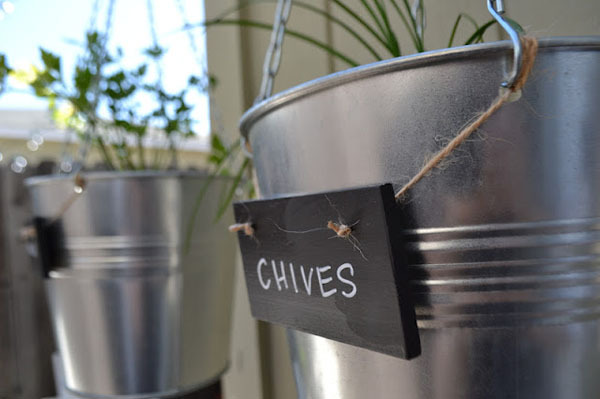 Tin cans, small buckets or empty glass jars and plastic bottles are wonderful materials for making hanging containers and decorating your porch, patio, green house or kitchen with edible herbs or flowers. Using small water cans and buckets, making containers of empty glass jars and plastic bottles are great small garden design ideas that reuse and recycle items that clutter your home, while adding beauty to small spaces. Few DIY projects for decorating small spaces with edible herbs may inspire you to create your own small garden design and make your balcony, porch, deck or kitchen more functional and attractive. Each garden design with edible herbs looks very pretty and make small spaces feel more inviting and cozy. The instructions are available from paper whites, paperwhitesblog.blogspot.fr/ and Camille styles, camillestyles.com/ blogs.